Discussion in 'MacRumors.com News Discussion' started by MacRumors, Jul 2, 2013. 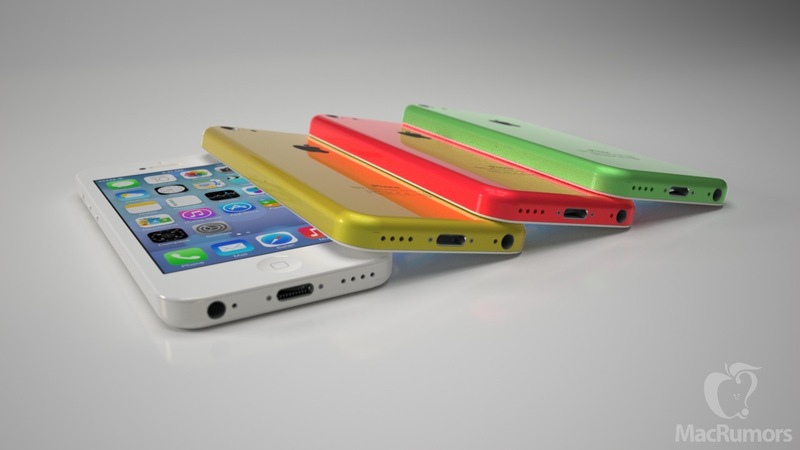 While Apple has been rumored for some time to be planning to launch a lower-cost iPhone available in multiple colors with a plastic shell, reports have been picking up steam in recent weeks, led in part by a claim that Apple will be adopting the bright colors it used for its iPhone 4/4S bumpers. That report was followed by leaked design drawings from a case maker showing the expected measurements and physical features of the device. And just this past weekend, several new images were posted to Chinese forum site WeiPhone showing what may be rear shells from the lower-cost iPhone in yellow, red, and green. Based on all of this recent information, we once again commissioned Ciccarese Design to produce some high-quality mockups intended to capture the lower-cost iPhone's size, shape, and texture given that it will mark a departure from the nearly all metal and glass bodies of recent iPhone models. The renderings show a slightly thicker device than the iPhone 5, measuring at 8.5 mm thick compared to 7.6 mm for the iPhone 5. 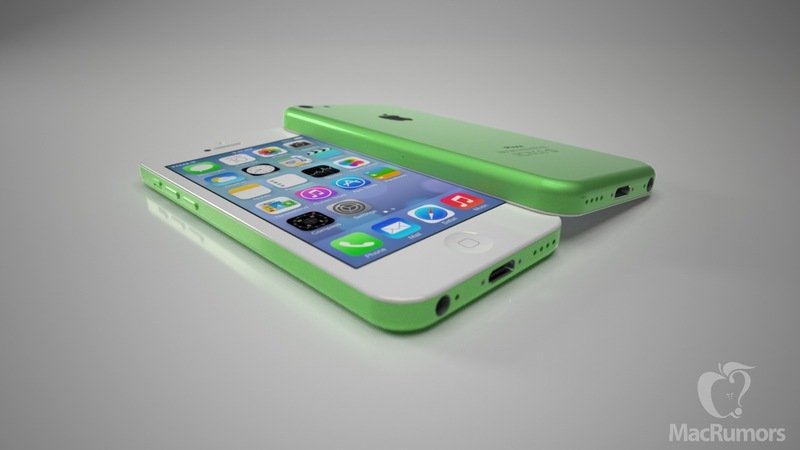 The lower-cost iPhone is also slightly taller and wider than the iPhone 5 to account for the thicker plastic shell. 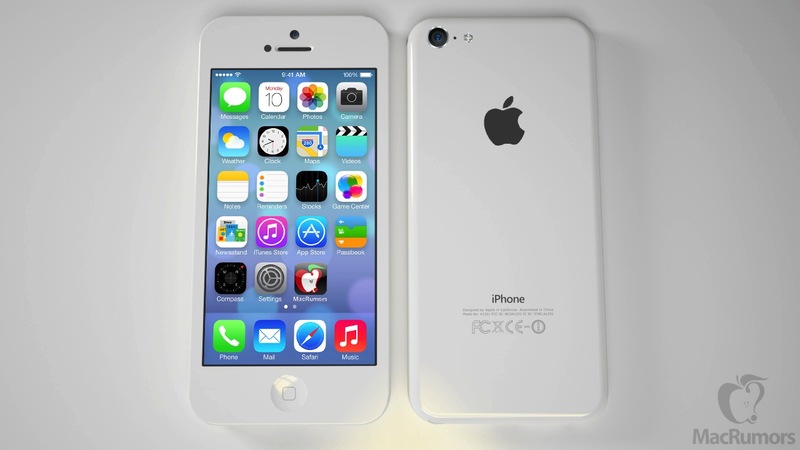 Physical features are very similar to those of the iPhone 5, although the volume buttons appear to be shifting from the round design seen on recent iPhone models to pill-shaped, and the speaker and microphone holes along the bottom edge will also see a simpler design compared to the iPhone 5. Apple is expected to launch its iPhone 5S flagship device later this year, most likely around the same September-October timeframe seen the past two years. The company's lower-cost iPhone is likely to make its debut at around the same time, offering an updated more affordable option for consumers, particularly in markets where carrier subsidies are uncommon. Looks like a 5th gen iPod touch. but really, the rumors are saying no black? Why does this feel so wrong to me? I actually really like the 'lower-cost' iPhone. It seems to have all the key features people want, but with the same old iPhone 3GS-like design. I love it. And I am an iPhone 5 owner. Cool, mock-up renderings of a phone; a phone whose existence has been neither confirmed nor even proven. If that isn't innovation, I don't know what is. They've practically made up a new Apple product! With 2 year contract, yes you will! The Apple Logo on the back of the white iPhone looks squint and off centre... It's really annoying me. Id take this over an iPhone 5 - why? Because I bet the wear and tear wont be as bad as this iPhone 5 has been. Stupid Anodized Aluminium! You commissioned renderings but couldn't even remove the gloss on your MacRumors icon? It is probably fake, but I would buy one. The iPhone 4, 4S and 5 are great...while they are sitting on a desk, but they are not hardly the most comfortable to hold. For me, I will always have a case on them so that kind of defeats the purpose. If they made a model like this in black, and it had all of the hardware (it wasn't a "cheap" version) I would get one of these in a heartbeat. I would mind it a little thicker too, if they improved the battery life. What if the colors were some sort of Apple cases where someone could buy whatever color they wanted and replace it if it got damaged due to a drop? That would be nice. Women could match their case to their outfit. With colors like these, I can see this cheaper iPhone being used by kids (around middle school/high school). I've helped out at a couple of elementary schools and been shocked at 4th and 5th graders having smartphones. I don't see the necessity of having a constant data connection at such a young age, but a cheap iPhone could replace a feature phone, iPod, and portable gaming device for kids. IDK what Apple want to do with those but if it's real, it can be very very dangerous for their traditional market. If the "low cost" is done with same hadware as iPhone 4/4S or 5 but with less expensive materials, a lot of people in western countries won't like to pay premium price just for aluminium and glass. They will want to switch on those low cost stuff. And if Apple refuse to sell them, they will probably be upset enough to buy a competitor phone instead. Apple is playing a dangerous game if this is true. I find the current line quite enough. They should continue to sell their older model for less money. What do we think the internals of this would be? I think the A5 is too old to use inside it now, so A6? I think it will have the iPad mini camera though and 16gb of storage. But then if it was $400 off contract (for example) I think a lot of people would pick this over a discounted 5 ($550) and 5S ($650)?